Hackers are already scheming their next wave of targets: will they replicate the colossal Equifax breach and cash in on reams of personal data or freeze up IoT devices simply in order to disrupt critical systems? 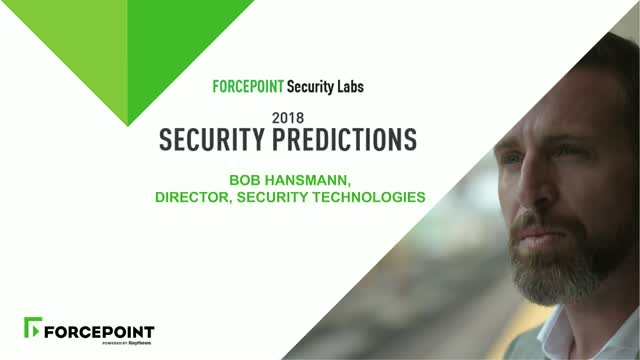 Join Forcepoint's Bob Hansmann, Director, Security Technologies for a Forcepoint 2018 Security Predictions Report webcast on the most pressing security issues for the upcoming year. You’ll receive an advance copy of the Forcepoint 2018 Security Predictions Report just for attending.